Ensure Diabetes Care Powder is a diabetes-specific nutrition for diabetic patients. The Ensure powder for diabetics is scientifically formulated with slow release energy system to help manage blood glucose levels and support weight management. 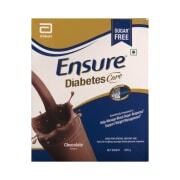 The Ensure Diabetes Care Powder provides steady energy and helps to keep blood glucose and weight under control. To prepare a glass of approximately 237ml, combine 6scoops (52g) of powder with 200ml of water. As a partial meal replacement- 1 serving of Ensure can be used before a major meal (eg. lunch/ dinner), as a breakfast replacement, evening/ bedtime snack or as directed by physician/ dietician. 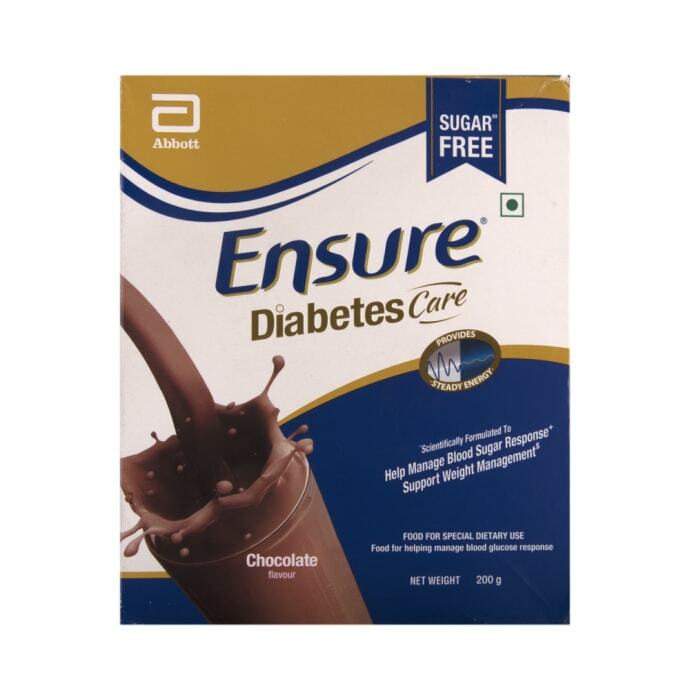 A licensed pharmacy from your nearest location will deliver Ensure Diabetes Care Powder Chocolate. Once the pharmacy accepts your order, the details of the pharmacy will be shared with you. Acceptance of your order is based on the validity of your prescription and the availability of this medicine.